Just a week after high school graduation, Frank signed on with the Regional Sewer District as a summer student. From there to mail clerk, he familiarized himself with its many departments and employees, learning from their experiences and perspectives. That was in 1976. Today, Frank Schuschu is in his 43rd year of Sewer District service and he’s the elder statesman to a new generation of water-quality advocates. PFO is short for Perfluorooctanesulfonic acid, a pollutant resulting from old methods of textile manufacturing. As a Water Quality & Industrial Surveillance (WQIS) Investigator, Frank’s responsibilities include monitoring industrial discharges, pretreatment and environmental sampling. 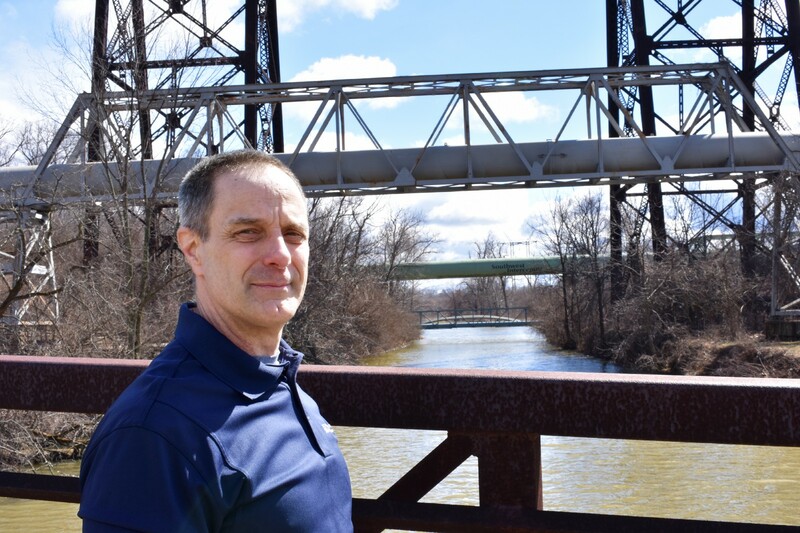 Frank’s passion for the environment and his work at the Sewer District has driven him to push for environmental awareness that would result in new policies or legislation. Frank spends his free time working out at the Berea Recreation Center, hiking, and reading. He attributes his love of books to a former co-worker, Keith Linn, who got him into philosophy. Today, Frank reflects on the environment around him. He sees fish jumping in the river and numerous birds along the waterways. A view that once included sewage and debris now has life, due to the efforts of employees like Frank and his desire for a better future for our environment.